Change Healthcare files IPO documents for a $100 million IPO. Analysts estimate the company’s value at up to $12 billion. The company, of which McKesson owns 70 percent with two private equity groups holding the remainder, reports adjusted net income of $281 million on $3.3 billion in revenue in 2018. 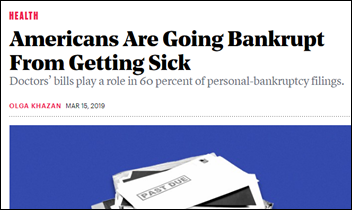 Change took on $6.1 billion in debt to create the business last year in merging the former Emdeon with McKesson’s IT business, after which McKesson was paid $1.25 billion and PE firms Blackstone and Hellman & Friedman received $1.75 billion. Shares will trade on the Nasdaq under the symbol CHNG. CEO Neil de Crescenzo’s 2018 compensation was $8.3 million; former CFO Al Hamood (now president of ATI Physical Therapy) was paid $13.3 million; EVP Rod O’Reilly earned $5.6 million; former sales EVP Mark Vachon was paid $6.4 million; and EVP/CIO Alex Choy’s compensation was $3 million. The six non-employee board members were each paid cash and options worth $400,000 to $573,000. Seventeen of the 19 company directors and executive officers are male. Last week’s poll is a toss-out since responses were evenly spread and few in number, so let’s move on. New poll to your right or here, for HIMSS19 provider attendees: did you discover an interesting product or service that you will follow up on? Click the poll’s “comments” link if you vote yes to tell us what piqued your interest. 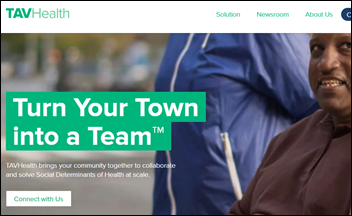 Mobile health evaluation company Signify Health acquires TAV Health, which offers a platform to connect community and health partners to address social determinants of health. Signify’s CEO is former Athenahealth SVP/Chief Product Officer Kyle Armbrester. For-profit hospital operator HCA acquires a majority ownership in for-profit Galen College of Nursing, which offers instruction on five campuses and online. Chris Belmont (Intelligent Retinal Imaging Systems) joins The HCI Group as EVP of strategy and operations. ROI Healthcare Solutions hires Brent Prosser (Infor) as SVP of sales. 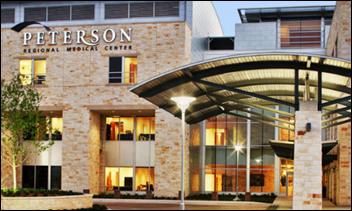 Peterson Regional Medical Center (TX) goes live on Meditech Expanse with patient accounting and supply chain help from CereCore. Singapore’s Health Sciences Authority reports yet another healthcare-related breach in that country after discovering that one of its contractors failed to secure an online database of blood donors containing the information of 800,000 people. The website of the contractor, Secur Solutions Group, has gone offline. A large RN survey finds that a hospital’s work environment plays a big part in whether nurses are satisfied with the hospital’s EHR and how they perceive its contribution to patient care and safety. The Canberra, Australia newspaper reviews the 40 patient safety bulletins issued to EHR users in 2018 by the Cerner project team at Queensland Health, many of related to software updates. They include problems with children’s weights, unexpected drug name changes, switching to the wrong record when multiple patient windows are open, and creation of duplicate encounters. Doctors at University of Virginia Children’s Hospital develop an IPad-based system that allows NICU babies to go home earlier, replacing a pen-and-paper and call-in system for parents to report their baby’s feedings and weight. The system sends data immediately to Epic. 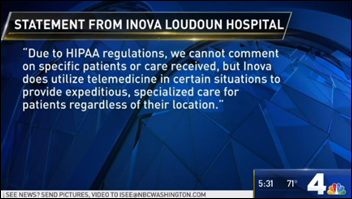 It was developed by Charlottesville-based Locus Health and its use has been expanded to 15 children’s hospitals. The designers are a pediatric cardiologist and his NICU pediatrician wife. Ontario, Canada scraps a $500,000 public health vaccination reporting system and goes back to paper forms after finding problems caused by incompatibilities with physician EHRs, one of which was that the vaccine names don’t match. A study finds that applying deep learning to just a few hundred patient EHR records can accurately predict the outcome of chronic diseases (rheumatoid arthritis in this case). The same model then works fairly well across other hospitals. The authors believe that decision support should involve training models on aggregated patient data from multiple healthcare systems, then extending the model to other providers. 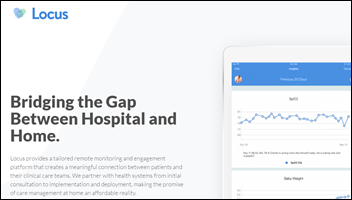 NextGate and Nordic will exhibit at Texas HIMSS March 25-26 in Austin. Clinical Computer Systems, developer of the Obix Perinatal Data System, will exhibit at the AWHONN Virginia Section Conference March 17-18 in Charlottesville. Flywire and Experian Health will exhibit at the HFMA Revenue Cycle Conference March 20-22 in Austin. Recondo Technology and MedeAnalytics partner to create a single, powerful revenue cycle management platform. PatientKeeper will exhibit at Hospital Medicine 2019 March 24-27 in National Harbor, MD. Your assessment of the Change Healthcare IPO appears to be off base. First of all you seemingly scanned 200+ pages of their initial submission, which is complex, and does not include full information, including share price, shares offered, etc. Second, what analysts are you referencing relative to $12 billion for a total entity value?? We can’t seem to track down any substantiating info on this valuation anywhere. Your “claim” puts the value at 4X revenues. Seems a bit strong, no matter what industry a firm may be in. Third, the comp referenced for some of the leaders of Change appears to be misleading, Per a former colleague/friend who works there, all options are locked until multiple actions take place, and currently have a “discretionary” value of $2400, as reported in the SEC filing, until further notice. From what’s been shared, $2400/share is little more than a placeholder. You apply this value to options granted “or read the final column on the estimated exec comp page” to report the values provided. While it’s not arguable around management structure, i think it would be beneficial to those inside and outside of the industry that you fully assessed the sec.gov posting and commented appropriately with more attention to the full detail and facts. Normally we find your posts to be pretty insightful, but you seemed to be anxious to get something posted today and your post didn’t appear to exhibit any evidence of you digging into specifics, as available via sec.gov. Disclaimer: I don’t work for Change but do work in the securities industry….My firm is not associated to the proposed ipo. The $12 billion valuation means little anyway, obviously, since it’s just a placeholder until the percentage ownership of the $100 million IPO is acknowledged and/or share trading actually starts. But expert analysis is always welcome.